Don Jacot (born 1949) is an important American Photorealist painter. 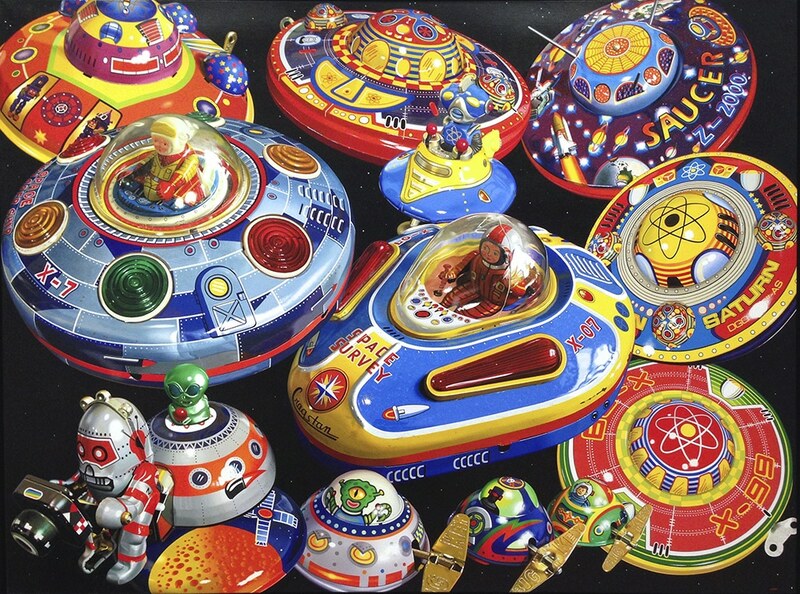 Jacot is one the distinguished artists, recognized for his compositions of toys. He is also esteemed for his paintings of urban sceneries. Without revealing brush strokes, Jacot delivers compositions that are stimulating to the eye and reflective in subject matter. Jacot’s paintings are often based from his own photographs but altered in perspective, color, and shape. His masterpieces are unique expressions, independent from their photographic framework. “I identify myself with Photorealism, an art movement forty some years into its development, but with historical precedents in the origins of optics and photography. Though I have done purely realist paintings, I prefer the clarity and dependability of photo information, especially for landscapes. Working from my own photos but not a slave to them, I feel free to alter perspective, color, the shapes and positions of objects, buildings, etc, in a painting, or to combine elements from sets of photos. I often compose images, which no camera could take. The possibilities are endless, and new artistic developments will parallel progress in photography, optics, and computers. I have used and relied on digital cameras and computer photo programs since they first became available to me in the late nineties. I have worked in acrylics, oils, gouache, watercolor, and charcoal, but concentrate on oil painting. I paint with regular artists’ brushes, only rarely have I used airbrush for touches in a few paintings, and do not emphasize the brushwork itself. Through the nineteen eighties my subject matter was the urban landscape. Influenced by Social Realism I chose commonplace subjects and aging structures, intending to portray their pathos and dignity. In the nineties I took a different approach to the urban environment or the culture in general, and focused in on the shop window as a motif for a series of paintings. There I found unusual and complex arrays of consumer items, toys, etc, old and new, mundane or exotic, but always interesting and beautiful to me. I have edited things out of photographed store window settings and then inserted the objects I wanted to see. Sometimes I fabricated whole images of window displays and storefront exteriors. Next I telescoped the frame of reference further down to close-up views of groups of objects, appliances, etc, still within a store window context. By complement and by contrast I combined things from different eras, objects with similar functions or with nostalgic, whimsical, or symbolic value, and thereby reflected the culture around me. Beyond that I wanted to share my fascination with the forms of the things themselves, their colors and surfaces, and their appearances under different lighting, angles, or lens lengths. After 2003 I concentrated on closeup views of toys or sometimes a single toy, eliminating the store window frame of reference. These paintings carried a fantasy, narrative, or iconic quality, removed from real situation. I completed a series of small pictures of this type, and since 2006 have switched to a succession of six foot paintings showing toys blown up several times their actual size. 1999 – “See the USA,” National Building Museum, Washington, D.C.